What a first 10 days for the President. The President of the formerly United – now Divisive – States of America took his first day to office with huge protests around the world. A controversial campaign yielding a controversial President. At best even his own party flirted with idea of taking away their support. But he won. and as he claims ‘I’m full of winning, and I will never get bored of it.’ In addition to winning the Electoral College, I won the popular vote too if you discount the millions of people who voted for Hillary. Normally, after each election, you expect some fall out of protests, and it is understandable; thousands of people invest hours, money and time into a gruelling routine towards 1600 Pennsylvania avenue. So it can be difficult to accept the loss. However, the world hasn’t seen anything like this before. Hundreds of thousands of protesters have gathered across the world to show their support for #womansmarch. There’s something of a revolution spreading across social media in the United States and beyond. with the #MuslimBan. You can see it in the curious ways in which women changed their social media profiles to include “nasty woman” after Donald Trump used the term to critique Hillary Clinton And you can see it in the conversations on Facebook pages, where women are Americans are openly venting about their encounters with immigration ban of the 7 Muslim countries. Trump has made an enemy of feminism and liberals. A feminist revolution? It’s all rather startling. Trump has not only breathed new life, new awareness into the demands for equal treatment for women everywhere, but it seems he has made united an enemy around the world with his hard hitting statements about the Mexican Wall and of course the immigration ban. This follows his unheralded rhetoric of every other country around the world. Also petition calling for the immediate release of Donald Trump’s tax returns has reached the 100,000 signatures needed to prompt a White House response. Releasing the tax documents would clarify whether or not the new President has previously paid taxes on his commercial empire, and any business deals with Russia. In a gesture to ease the pain of Americans unhappy with the presidential election result, a group of Canadians have invited the residents of California, Oregon, Washington and Nevada – where Donald Trump lost to Hillary Clinton – to secede and join Canada. “Dear California, Oregon, Washington – I’m sure we can work something out if you want to join Canada,” tweeted Chad Harris, a reporter from Kamloops, British Columbia. And as if that wasn’t enough, a petition in the UK, which has achieved over 1 million signatures is set up to be debated in Parliament. 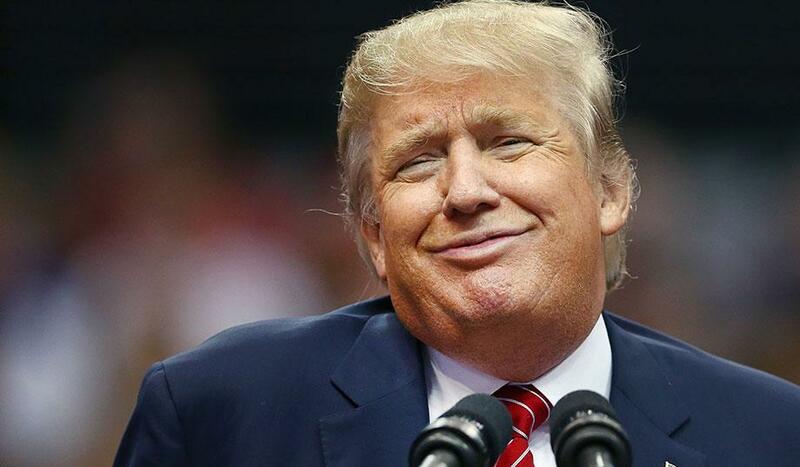 This petition is designed to prevent Donald Trump entering the UK. What a first few weeks at work, at this rate Easter will be cancelled and Christmas postponed to a summer month, Ba humbug!